Fun, flirty and fabulous, our collection of ruffle wedding dresses will give your walk down the aisle the wow factor. 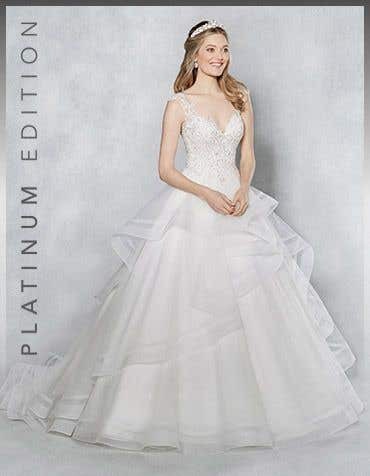 Super flattering, our range of wedding dresses with ruffles feature cascades of fabric for that perfect fairy tale wedding style. 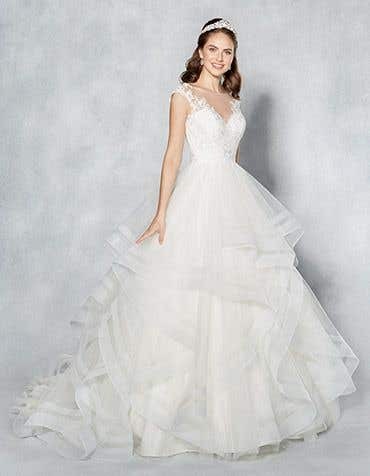 Ruffle wedding dresses are perfect for a fairy tale wedding and our range is available in a selection of fabrics, from organza to satin that cascade over the ball gown silhouette.  Visit your local WED2B bridal store today - we're open 7 days a week and there's no need to book an appointment, just pop in at your convenience.